Looking for a Spring Cleaning in Central London? Do you wish to get rid of the obstinate stains in your house, apartment or office? Or you probably feel your home needs more detailed cleaning for the warm seasons? If so, contact our company and you won’t regret it! We offer a wide variety of spring cleaning services in Central London which are thorough, high-quality and affordable. Our company has many gratified customers which keep coming back to us and there’s a good reason why. Available seven day a week, our professional cleaning team will completely transform your home and prepare it for spring. 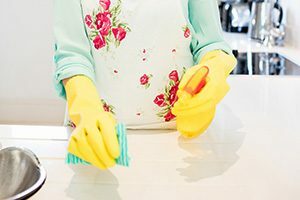 You need to clean and sanitise your home? Then give us a call now and we’ll gladly spring-clean it for you. Our company is well-established and has a long-standing reputation as one of the best in the business. We know how important deep spring cleaning is, our employees are fully trained and insured, as well as reliable. Book our spring cleaning company in Central London if you want your home to be restored to it best condition. We are extremely proud of our professional team of cleaners as they can hardly be beaten when it comes to quality and efficiency. They will do the following for you and your home: stain identification and removal; dusting of all surfaces including kitchen counters, table and furniture tops, lamp shades and blinds; mould removal from bathroom tiles and curtains; cleaning of sinks, shower heads and disinfection of toilets; carpet and drapes vacuuming; mopping of floors and tiles; removing rain splatters from your windows and glass doors; polishing of banisters and wooden surfaces; cleaning drawers and cupboards from the inside; check of nooks and crevices and much more! We are the best spring cleaning company in Central London. As such we guarantee the highest standards of cleaning and the complete satisfaction of our clients. Our team of trained, committed and friendly cleaners will provide you with quality and professional spring cleaning. To see for yourself, contact us right away to book an appointment. Your satisfaction is our top goal!